Kiwi-Nigerian mixed martial artist Israel “The Last Stylebender” Adesanya, 29, is the new interim UFC Middleweight Champion. He was one of the winners at “UFC 236,” which marked his sixth victory in Ultimate Fighting Championship. Featuring 13 MMA matches, “UFC 236” took place at the State Farm Arena in Atlanta, Georgia, USA on April 13, 2019. 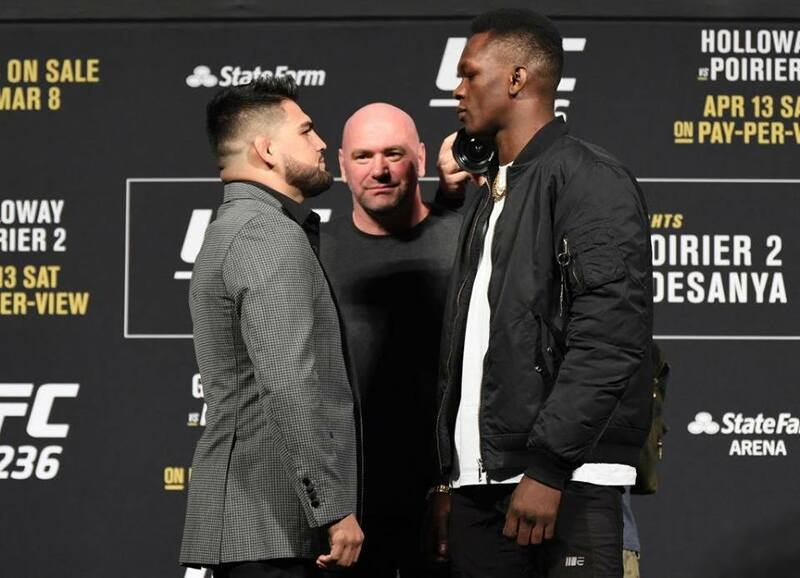 In the co-main event of the evening, Adesanya and Kelvin Gastelum, 27, of Yuma, Arizona, USA competed for the interim UFC Middleweight Championship belt with Marc Goddard as the referee. After five five-minute rounds, the bout was left in the hands of the judges namely Mike Bell, Anthony Maness and Ken Coffey. In the end, Goddard raised the hand of Adesanya, who was declared the winner via unanimous decision. Bell, Maness and Coffey unanimously scored the bout 46-48 in favor of Adesanya. It was the sixth unanimous decision victory of the evening. By winning at “UFC 236,” Adesanya was able to keep his undefeated professional MMA record. He now has 17 wins and 0 loss while Gastelum now has 15 wins and 4 losses. Adesanya was born in Lagos, Nigeria on July 22, 1989. He moved to Rotorua, New Zealand when he was 13 years old. Inspired by the Muay Thai film “Ong-Bak,” Adesanya started his training in kickboxing when he was 18 years old. He moved to Auckland, New Zealand when he was 21 years old. A blue belt in Brazilian Jiu-Jitsu, Adesanya has 5 wins and 1 loss as a professional boxer and 22 wins, 5 losses and 1 draw as a professional kickboxer. As an MMA fighter, he has been competing professionally since 2012 and he joined the UFC in 2018. “UFC 236” marked Adesanya’s sixth UFC bout. The first five opponents he defeated in the promotion were Rob “Razon” Wilkinson, 27, of Sydney, New South Wales, Australia, Marvin Vettori, 25, of Mezzocorona, Trentino, Italy, Brad Tavares, 31, of Las Vegas, Nevada, USA, Derek Brunson, 35, of Wilmington, North Carolina, USA and Anderson “The Spider” da Silva, 43, of Curitiba, Brazil.